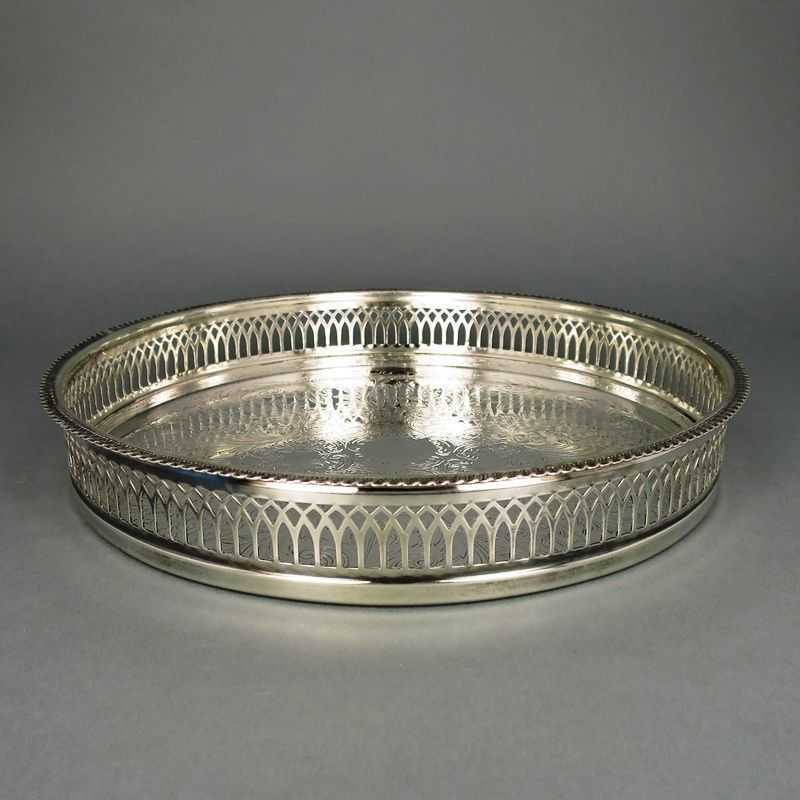 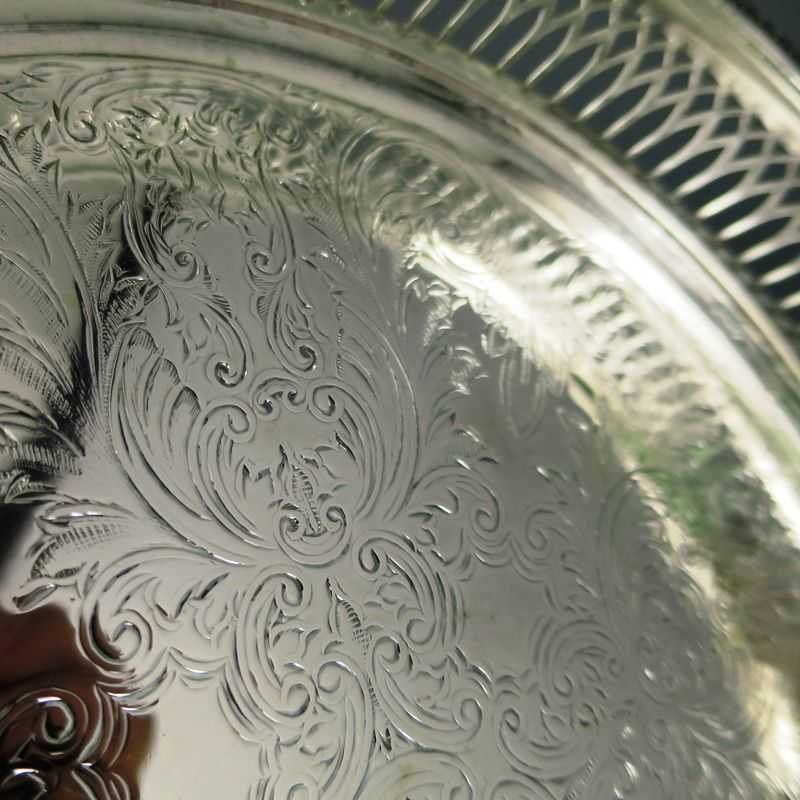 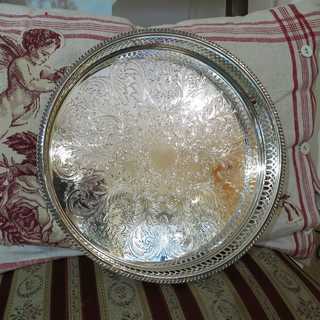 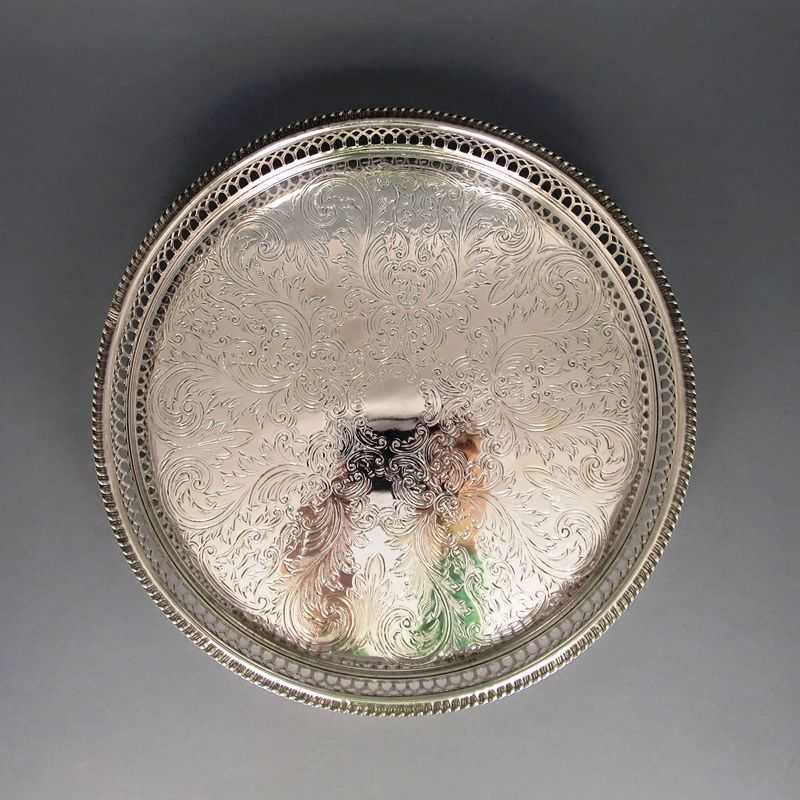 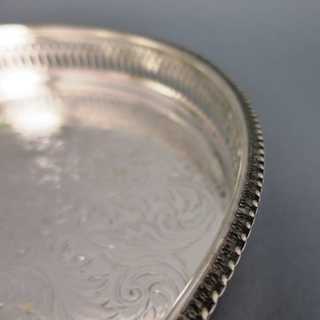 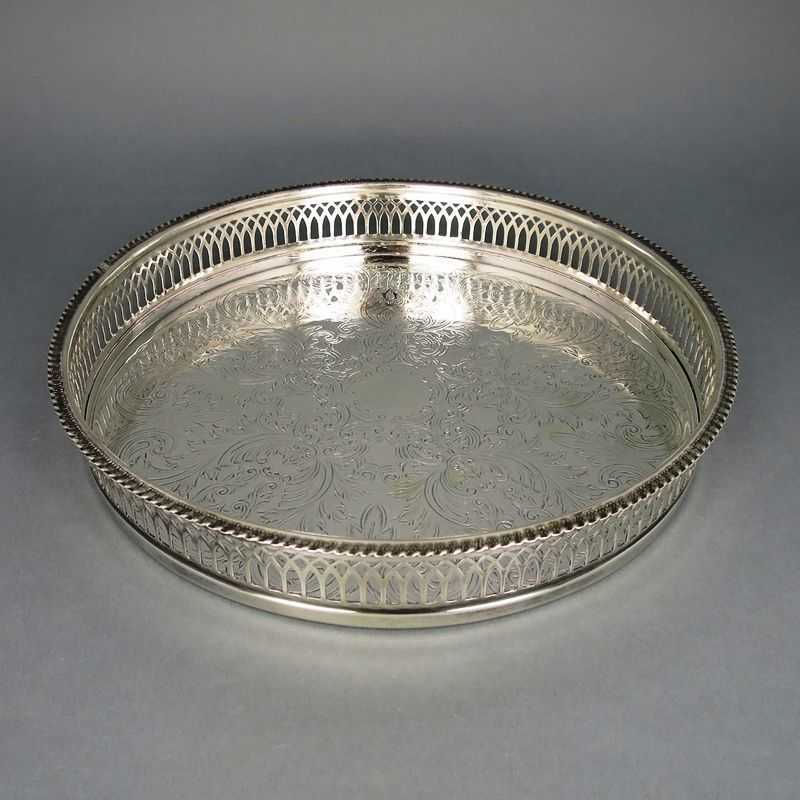 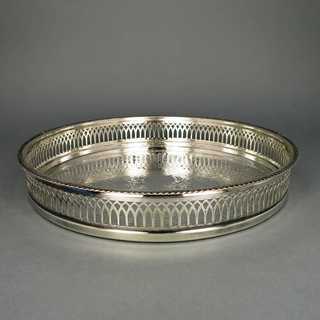 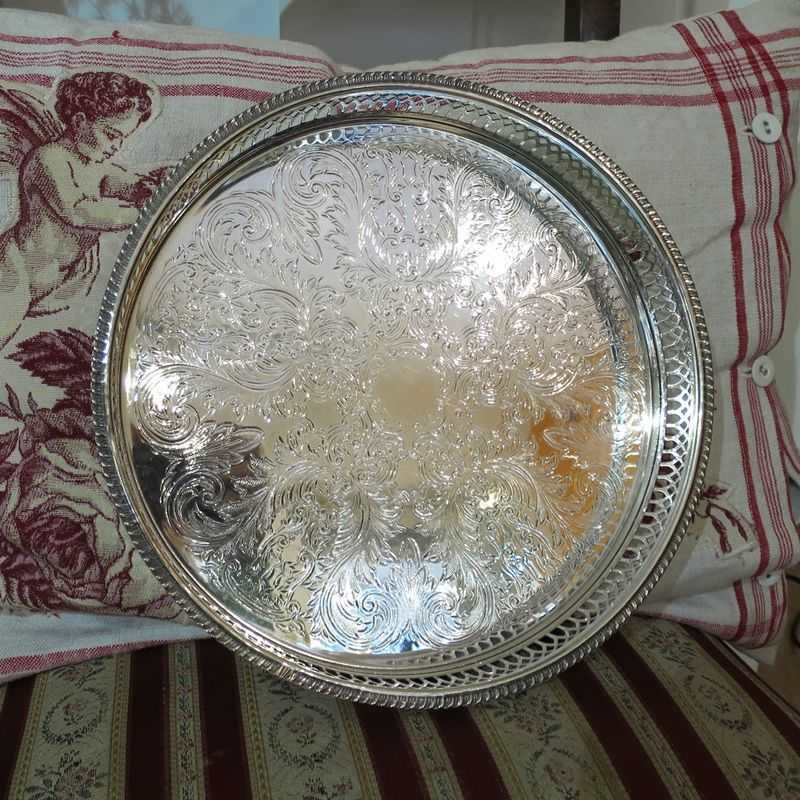 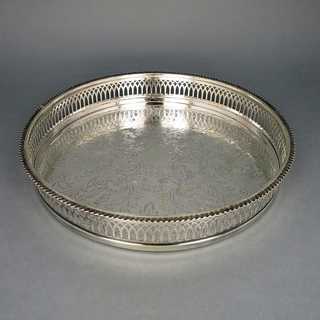 Round tray with galery rim. 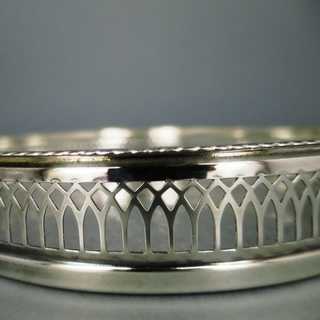 Flat stand, open worked rim, decorated with lancet arch pattern, inside rich flat flower and leaf pattern. 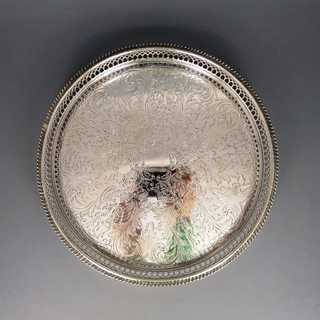 Rim edge decorated with pearl frieze.